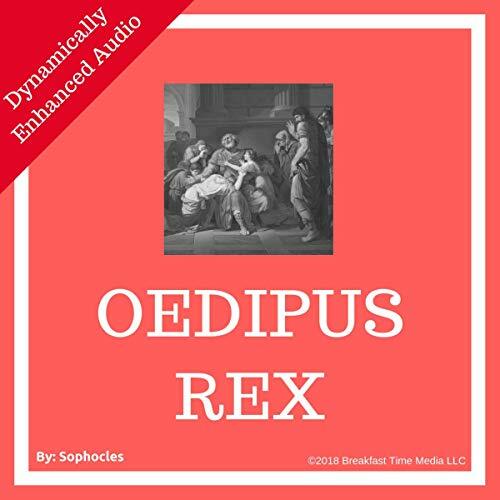 Oedipus Rex, by Sophocles, is a tragedy that has been enjoyed for centuries. This drama is an absolute must for any scholar, student, drama lover, or classical literature fan. Here, you will find the unabridged and complete version of the work. The work is divided into three riveting acts. We hope you will thoroughly enjoy each and every act. Breakfast Time Media LLC strives to provide you with the best possible listening experience. We strive to work with the most talented narrators in the industry to provide you with an excellent listening experience. We use a computer-assisted dynamic-leveling process to ensure audio stays within an optimal listening range. Noise-gate technology is used in all audiobooks to eliminate all background and room noise disturbances for your enjoyment of the audiobook. We are dedicated to providing you with the best possible audio experience at the best possible price."